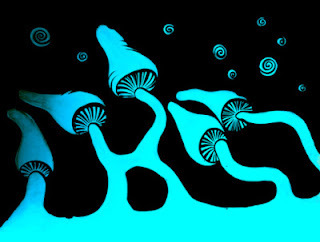 All things hallucinogen ... What to do? Late last year a 15 year old young man from NSW's Central Coast was found dead after allegedly using LSD. As yet no toxicology results have been released but at the time the death was widely reported as an 'LSD overdose'. If that ends up being the case it will be highly unusual - those deaths that have been linked to LSD are usually classed as 'misadventure' and involve the user being involved in accidents, falls or car crashes whilst under the effect of the drug. The blog I wrote about the urban myth ‘Strawberry Quik’ has been one of my most popular. A couple of readers have contacted me and asked me if there are other false drug warnings that could be doing the rounds that they should be aware of. In fact, there are a number of urban myths that often come in the form of an email or Facebook message giving you a warning about some 'terrible new drug trend'. These include stories of ecstasy that contains glass (apparently designed to tear the inside of your stomach wall, thus enabling you to absorb the MDMA quicker), and LSD soaked tattoos (created to ensnare little children into the world of illicit drugs as early as possible).